Our professionalism, expertise and flawless finishes means we are the kitchen painters of choice to numerous domestic and commercial clients. 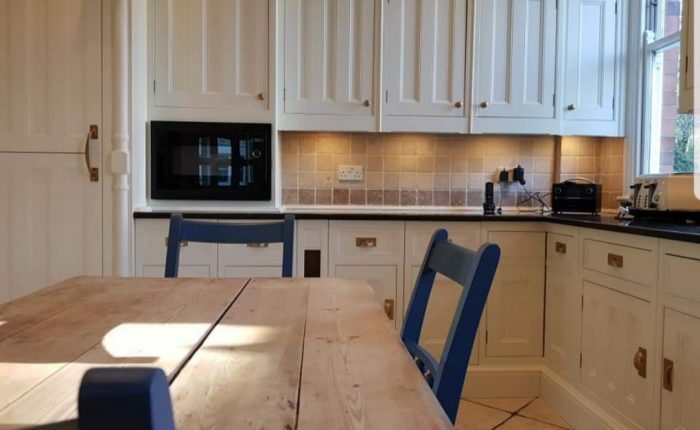 We form part of a group of kitchen painting experts HPKUK network; specialist kitchen painters who are handpicked based on their skills and expertise, meaning you can rest assured that your kitchen is in the very best hands. 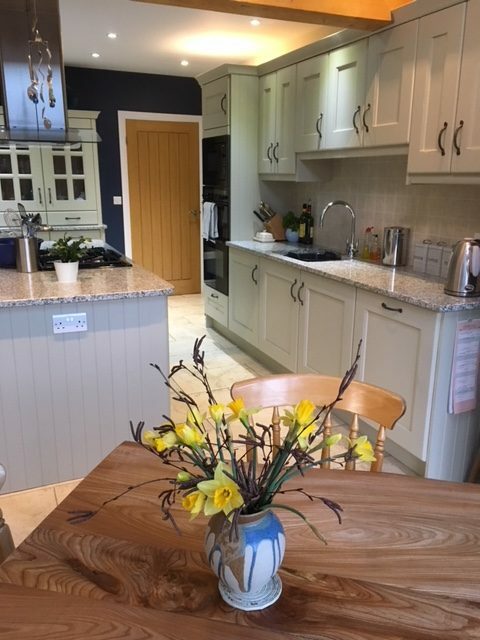 Our experience sets up apart from other kitchen painters in Nottingham, Derbyshire, South Yorkshire and surrounding areas, with our craftsmanship proving second to none. No two kitchens that we hand paint are ever the same. 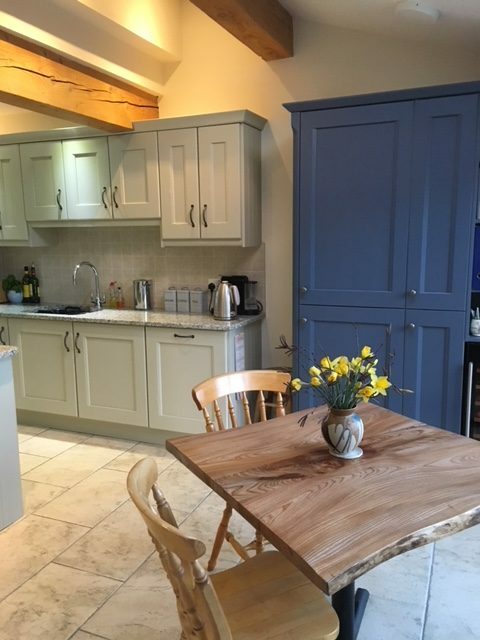 All our kitchen painting schemes are individual to you, taking tired, and dated wooden kitchens and transforming them into beautiful showroom quality masterpieces. No kitchen painting project is too big or too small for our expert painters and every project begins the very same. First, we begin by covering your entire surface surrounding your kitchen to protect your worktops, flooring appliances and more. 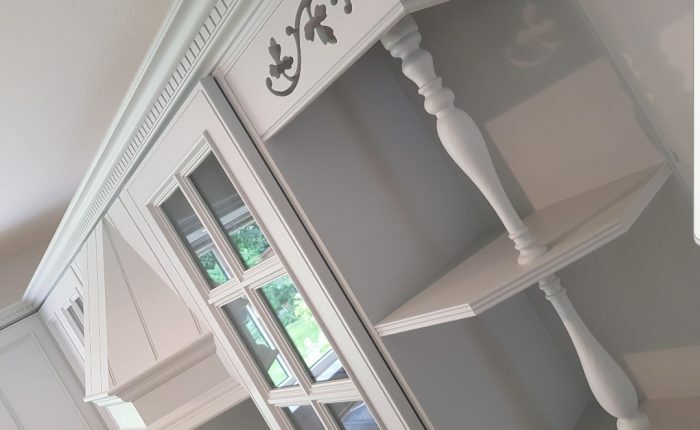 Next, we give your entire kitchen a thorough clean, including both sides of the doors and draws,the frames, end panels, cornice and any display features or canopies, before applying a specialist high adhesion primer. We work together with our clients to deliver a kitchen scheme that’s bespoke to you and ultimately achieves your desired taste. We quote for each project on an individual basis, based on size, complexity and other factors. 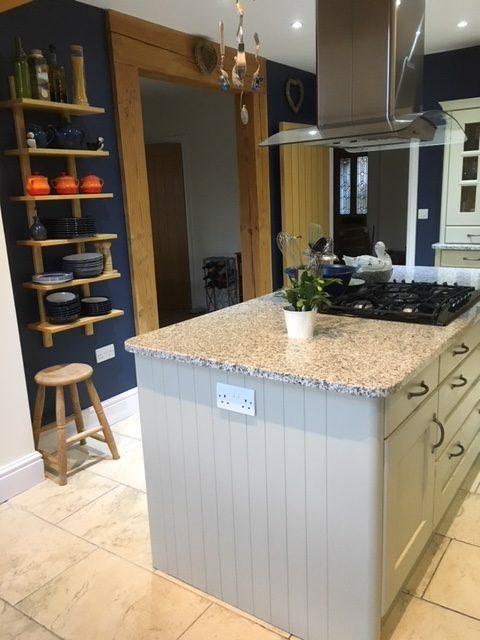 You can also rest assured that a hand painted kitchen will save you a considerable about of money compared to a full kitchen refit project, as well as minimising the disruption that a full kitchen installation would bring. Whether you strive for traditional opulence or contemporary chic, you will always receive the same high quality of craftsmanship from our kitchen painting specialists at RUSS PIKE INTERIORS. 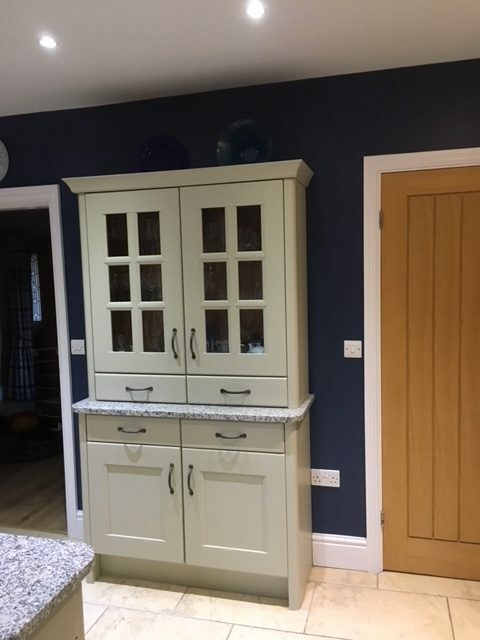 Our specialist cabinet kitchen painters cover all of Nottinghamshire, Derbyshire, Leicestershire and South Yorkshire. Our HPKUK network covers the whole of the UK, Wales, Scotland, Ireland, the Isle of Man and the Malaga region of mainland Spain. If you have a project in the pipeline, which you would like to discuss… please Contact Us and will will be happy to discuss your requirements and offer you the benefit of our experience and knowledge.